This Frida y – 5 June 2015 – the United Nations Environment Program (UNEP) invites us to be part of World Environment Day (WED). WED is an occasion to assess the challenges we face, to create awareness, to demonstrate the action we are taking, and to share our visions of a better, sustainable future. The challenge is particularly visible in cities. The facts are well known: with increasing urbanization comes an increased demand for natural resources, along with issues of waste, pollution, infrastructure, and so on. But this is also an opportunity for us to engage in ambitious action. In fact, as much as the challenges, innovation is emerging from the urban centers of the world! The global motto of WED this year is “Seven Billion Dreams. One Planet. Consume with Care.” Let us be modest and go for 50 percent: if more than half the world’s population adopts a sustainable lifestyle, 50 percent of the dream could come true just from cities! If we consume with care, and if we succeed in transforming our cities and our societies, we will make a substantial contribution to the overdue transformation of our planet. In the build-up to COP21 in Paris, this summer is the time to be bold and holistic – and to prepare for Post-Paris Action. I would therefore like to encourage all ICLEI Members to present their ambitious projects on urban sustainability as part of ICLEI’s Transformative Actions Program (TAP), to increase the visibility and impact of cities and to scale-up funding for major initiatives. TAP your potential! June will be a milestone on the road to transformation. And Bonn is the location of two major stepping stones. On 1 June 2015, the UNFCCC’s Bonn Climate Change Conference began, while ICLEI’s Resilient Cities 2015 Congress will take place on 8-10 June 2015. I look forward to two weeks of productive and stimulating debates – and of course to welcoming you in Bonn! Designed as a 10-year program, the TAP aims to raise local and regional climate ambitions as well as to accelerate the implementation of climate actions in the crucial pre-2020 and post-2020 phases. More specifically, the TAP aims to, over time, improve access to existing capital flows to cities and regions, as well as catalyzing and accelerating additional capital flows from public and private investors. The engagement of all levels of government – local, subnational and national – is essential when tackling climate change. They are also highly dependent on one another to effectively plan and coordinate unitedly for achieving their respective (shared) climate targets. The UNFCCC’s Friends of Cities will encourage the fostering of climate change adaptation and mitigation by supporting governments and enabling frameworks. Metropolitan Solutions 2015, which took place on 20-22 May in Berlin’s CityCube, brought together a range of representatives from businesses and cities for plenaries, workshops and discussions on urban sustainability. The lesson was clear: while finance and innovative technology for making cities more sustainable are available, the connections required to bring them to the local level must be strengthened. Local governments are seeking to provide an impetus to the ongoing Bonn Climate Talks by demonstrating their climate leadership and ambition. The Bonn talks will focus on trimming the 80-page draft climate pre-agreement to be adopted at the UN Climate conference in Paris in December 2015. The Resilient Cities 2015 congress begins next week. ICLEI is delighted to announce the three patrons of the congress, and to present the final program for participants. This year’s program includes a full-day Finance Forum and a half-day Special Urban Food Forum, as well as an exciting range of plenaries, presentations and panel discussions. In a pioneering effort, the small urban settlement of Doornkop hosted the first Doornkop Renewable Energy Rural Expo. This event was organised by the local community, with support from the Steve Tshwete Local Municipality and ICLEI Africa. ICLEI members Zurich (Switzerland) and Copenhagen (Denmark) have done more than any other European cities to combat urban air pollution, a new ranking by the campaign “Soot Free for the Climate” has revealed. Coming in at first and second place respectively, the Swiss and Danish cities were followed by Vienna (Austria) and Stockholm (Sweden). As a city from an arid region, Solapur faces problems of scarcity of water, high T & D losses in water supply network, sewage treatment, river/nallah pollution and air pollution. Recently the city has initiated implementation of 3 decentralized wastewater treatment plants to prevent nallah/river pollution. The 2nd Urban-LEDS International Networking Seminar (INS) welcomed over 60 participants – including senior local government representatives of 37 Urban-LEDS project cities in Brazil, India, Indonesia, South Africa, and Europe – to meet and learn from each other. 12 Urban-LEDS cities expressed their intent to comply with the Compact of Mayors as leaders in support of transparent approaches to reducing city-level emissions. The pilot projects were selected as part of an interactive exercise, with stakeholders asked to rank a set of projects based on environmental, social and economic feasibility/efficiency. The projects with the highest score were finalized for implementation, in consultation with the Municipal officials. The 18th session in the long-running Breakfast at Sustainability’s series will explore how cities and citizens can be engaged in the run up to the Paris Climate Negotiations. A major international climate change agreement is expected to be adopted at the upcoming COP in Paris (France), with the input of cities and citizens vital to ensure that the agreement recognises the roles of diverse actors in driving change. Nine projects, promoted by 6 Urban-LEDS cities, were chosen to be presented to potential funders at the Global Infrastructure Basel (GIB) Summit 2015, in Basel, 27-28 May. These projects were selected from a group of 150 project proposals submitted. Concurrently, the Transformative Actions Program was presented in a mobilization of efforts towards the global climate negotiations later this year. 20 Days to the ICLEI World Congress 2015! With just 20 days until the ICLEI World Congress 2015 (8-12 April), we are delighted to announce that over 900 international participants have registered. We have also finalized the majority of sessions and we have some great panels lined up! Last week, to mark International Women’s Day, we highlighted the panel “Women leaders transforming cities“. This panel, co-facilitated by Asa Karlsson Björkmarker and Cathy Oke, will address the pressing need for full and effective engagement of women in decision making structures in order to build inclusive cities that combat social exclusion and inequalities, and guarantee all inhabitants full and equal rights to the city. We are greatly looking forward to this panel and the many others, and we are excited to see you there! If you have not yet registered and would like to, please click here. Registration closes on Tuesday 24th March. Please click here to check out the great speakers we have lined up for the World Congress. The complete program for the ICLEI World Congress 2015 is available on the new website. Visitors can filter the program by track, location and day. Visit it by clicking here! Over 150 local and regional governments, represented by their elected leaders and senior staff members, have registered to attend the ICLEI World Congress 2015. See the list here! ICLEI is the world’s leading network of over 1,000 cities, towns and metropolises committed to building​ a sustainable future. By helping our M​embers to make their cities sustainable,​ low-carbon, resilient, biodiverse, resource-efficient, healthy and happy, with a green economy and smart infrastructure, we impact over 20% of the global population. Copyright © *March 2015* *ICLEI*, All rights reserved. Secretary General, ICLEI Dear ICLEI Friends and Colleagues,It is my pleasure to officially announce the establishment of the ICLEI Council 2015-2018. The ICLEI Regional Executive Committee elections 2015-2018 opened in June 2014 across all eight of ICLEI’s regions, and successfully concluded on 14 December 2014. All eligible ICLEI Members were invited to participate and vote to elect their regional representatives within the organization for the upcoming term of 2015-2018. ICLEI – Local Governments for Sustainability is an association of local governments that prides itself on being driven by its global network of Members. ICLEI’s governing bodies, responsible for defining its strategic direction, are made up of local government Mayors and elected officials, and are elected by all ICLEI Members every three years in their respective regions. Eligible ICLEI Members exercised their right to cast a vote in the election process, which involved all ICLEI offices and Members in all 86 countries in which we are present. The entirety of the ICLEI Regional Executive Committees constitutes the ICLEI Council, which is democratically representative of ICLEI’s global membership. The ICLEI Council is the only body with the power to approve changes to the ICLEI Charter and to approve the ICLEI Strategic Plan. It is the supreme decision-making and oversight body of the global association. Please click here to see the list of representatives elected by ICLEI Members in each region. We thank you for contributing to this global democratic process and count on your continued participation to build the future of ICLEI. ICLEI Members Belo Horizonte, Rio de Janeiro and São Paulo have been jointly awarded the 2015 Sustainable Transport Award. Mayors of the three cities attended an awards ceremony in Washington, DC, on Tuesday 13 January 2015. This first ever three-way tie recognizes the scale and substance of Brazil’s achievements in increasing mobility and enhancing quality of life in its major cities. ICLEI Member and European Green Capital 2014 Copenhagen (Denmark) hosted representatives from ICLEI, major international clean-tech companies, Europe’s greenest cities, and global city networks to discuss approaches towards COP21 at the conference Sharing Copenhagen – Green Capital Days from 8 – 9 December. At the recent COP20, the UNFCCC launched an online portal showing the actions that cities, companies, regions and investors are taking to address climate change. The portal displays thousands of climate action data, many of which have been supplied by ICLEI’s carbonn Climate Registry, the world’s leading reporting platform for local and subnational climate action. On 16 December 2014, the Municipal Council of Recife, Brazil, approved the Green Roof Law. This law requires buildings with more than four floors to have their roofs covered with native vegetation. 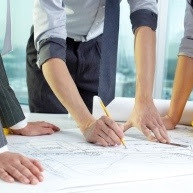 The law also applies to any commercial building with more than 400 square meters. The first example of a building with a “green roof” in Recife will be the Torre Charles Darwin, a 35-storey building under construction in the center of the city. The ICLEI World Congress 2015 plenary program is now available online, offering the next strategic step for local governments towards and beyond the COP21 in Paris. Optimizing urban partnerships, accelerating local climate action, financing urban solutions and translating global developments into local impacts will be the defining foci of the program. 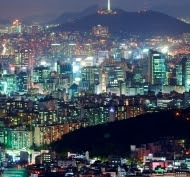 ICLEI and the World Wildlife Federation (WWF) will announce the winners of the Earth Hour City Challenge at the ICLEI World Congress 2015 in Seoul, Republic of Korea, 8-12 April 2015. All 16 finalists will attend the Congress. The Earth Hour City Challenge is a year-long competition among cities to promote renewable energy and prepare for climate change. In December 2014, ICLEI SAMS, ICLEI MECS and the Konrad Adenauer Foundation launched the publication “Sustentabilidade Urbana: Experiências na América Latina” (Urban Sustainability: Experiences in Latin America) at the COP20 UN climate change conference. The publication features 10 concrete examples of Latin American cities in pursuit of sustainability. The success of the series “Resilient Cities – The Annual Global Forum on Urban Resilience and Adaptation”, which has attracted hundreds of participants to Bonn, Germany, every year since 2010, is a clear indication of how pressing the issue of adaptation and urban resilience is perceived to be among local governments worldwide. In response to heightened demand, the congress series is expanding to include Resilient Cities Asia-Pacific, which will bring the event and the focus to Asia-Pacific. 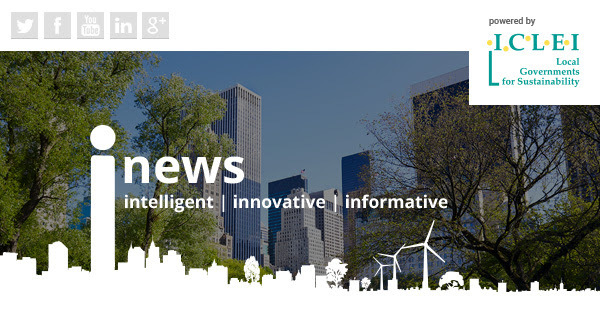 · Resilient Cities webinars return in 2015 with new, exciting topics! Representatives from Cochin, India and Matale, Sri Lanka, under the European Union funded Sharing Opportunities for Low carbon Urban transporTatION (Solutions) Project, had an opportunity to explore next generation mobility solutions and smart commuting in cities by participating in the 12th edition of the Michelin Challenge Bibendum held in Chengdu city, China in November 2014. Building on a study conducted by ICLEI and the World Business Council for Sustainable Development (WBCSD) on city-business cooperation models, Metropolitan Solutions 2015 will offer a unique opportunity for exchange. This year’s edition will feature “Lounge Talks”: 30-minute roundtable discussions between cities and businesses in an informal, personal setting. Public tenders published through the GPP 2020 project have saved the equivalent of over 65,000 tonnes of CO2 since the project began, more than the CO2 produced by 10,000 average European households each year. The project, co-funded by the Intelligent Energy Europe programme of the European Commission, is an online resource where low-carbon tenders are accessible to procurers and public authorities across a wide variety of topics, from the purchase of white goods to the leasing of green vehicles. Secretary General, ICLEI Dear ICLEI Friends and Colleagues,Welcome to our last iNews of 2014!2014 has been another remarkable year for ICLEI. We offered a multitude of projects and events that promoted solid sustainable growth in our communities, enriching the engagement and cooperation between partners and the exchange between local governments, businesses and global policy makers. Our regional offices have continued to make great progress in helping local governments to promote and develop sustainability initiatives. Increasing public awareness concerning climate change, growing urbanization and the ongoing climate events that remind us of our choices as stewards to planet Earth are creating momentum towards 2015. This momentum inspires great promise for the COP21 in Paris and the finalization of the Sustainability Development Goals (SDGs), both taking place in 2015. 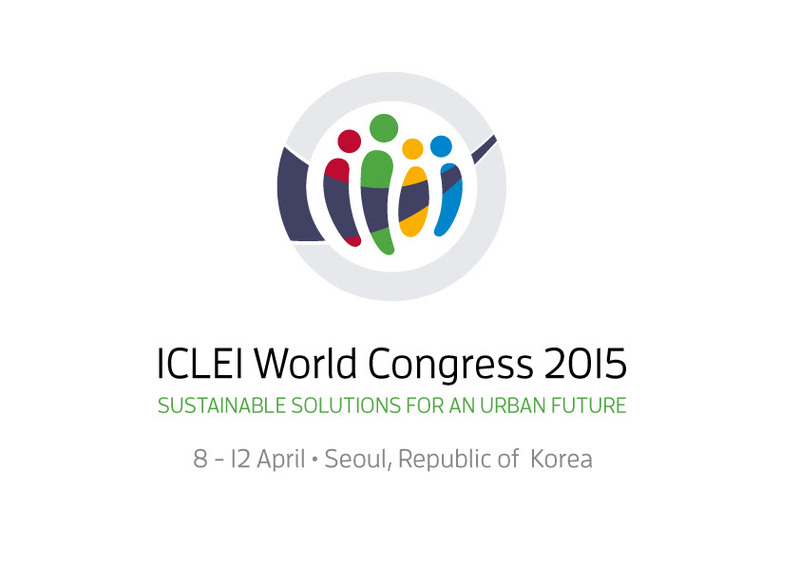 We look forward in particular to the ICLEI World Congress 2015, taking place in Seoul, 8-12 April 2015. This will be a landmark gathering of world leaders in urban sustainability. The Congress will allow cities to share ideas and to learn from each other, with a view to demonstrating that a transition to a globally sustainable future is possible. We also look forward to the 2015 Resilient Cities Congress, which will take place in Bonn, 8-10 June 2015. We very much welcome your continued support in making 2015 a successful year of collective local action for sustainability! On Monday 8 December, ICLEI, the World Resources Institute (WRI) and C40 Cities Climate Leadership Group (C40) launched the first widely endorsed standard for cities to measure and report their greenhouse gas (GHG) emissions. The Global Protocol for Community-Scale Greenhouse Gas Emission Inventories (GPC) uses a robust and clear framework to establish credible emissions accounting and reporting practices. The framework of the post-2015 development agenda will be finalized at the 70th Session of the United National General Assembly to be held in September 2015. The intergovernmental negotiations will build on successful practices from the Open Working Group on Sustainable Development Goals and will include inputs from all stakeholders, including local authorities. Every month until August 2015, negotiation sessions will focus on different elements of the process. The City of Bristol, UK, was announced as the 500th reporting city at the COP20 in Lima. Bristol, the European Green Capital 2015 and the first UK city to report into the cCR, joins the growing list of pioneering cities that have embraced leadership and responsibility in tackling climate change locally and inspiring action globally. Professor Hironori Hamanaka, Chair of the ICLEI Japan Office, was awarded the Order of the Sacred Treasure, Gold and Silver Star (Zuiho-jukosho) on 3 November 2014. The Order of the Sacred Treasure was established in 1888, and is awarded to those with distinguished achievements in the fields of research, business, healthcare, social work, state/local governments, or improvement to the lives of handicapped or impaired persons. Ten municipal staff from four Urban-LEDS project municipalities in South Africa attended a five day accredited training course from 17-21 November 2014 on “Energy and Sustainable Urban Development”. The course, run by Sustainable Energy Africa and the University of Cape Town, brought together municipal and other government officials from Ghana, Uganda and South Africa with various private sector, academic and NGO representatives. “Resilient cities – novel tools for local authorities” will take place in Brussels, Belgium, on 13 January 2015. The conference is a showcase event for the TURAS project, in which the Brussels Region is collaborating with 11 European cities and regions to create innovative tools in support of urban sustainable development. The Local Government Climate Roadmap received a boost during the Climate Change Talks in Lima (COP20) with the (re)presentation of Urban-LEDS cities and their local climate actions. Flagship cities were present at the high level events, side events and major launches during the talks. ICLEI officially invites all ICLEI Members to participate in the ICLEI Global Executive Committee elections 2015-2018 for Portfolio seats that will take place during the coming months. The Global Executive Committee is the representation of ICLEI Members at the global level, both generally and before global and international institutions. The Portfolio seat Call for Candidacies for the ICLEI Global Executive Committee will be open until 25 January 2015. The Poly-SUMP project “Planning sustainable mobility together” has released the Poly-SUMP Methodology Guidelines, together with a series of useful tools aimed at aiding local authorities in poly-centric regions in designing cross-border Sustainable Urban Mobility Plans (SUMPs). After hosting a number of successful webinars through the final months of 2014, the Resilient Cities team will build on key themes in the upcoming 2015 webinars. Forthcoming sessions are entitled “Building resilience to heat-related health risks” and “Participatory adaptation planning: Examples from African cities”. At the UN Climate Summit in New York, cities and subnational governments around the world showed themselves willing to work together on CO2 mitigation and adaptation strategies and accomplishments, through the carbonn Climate Registry, to build confidence for more ambitious goals in Paris at the 2015 COP21. This is one example of the initiatives that are geared towards Paris. But we should not lose sight of the opportunities offered by the COP20, which will be held in Lima, Peru, in December. The COP20 in Lima offers an opportunity to get ahead of schedule. With all eyes on Paris in 2015, Lima allows all the nations of the world to embrace positive developments. It is important for us not to become immobilized, waiting for the perfect text or agreement. Instead, we must embrace every available initiative that will contribute to our efforts to limit greenhouse gas emissions, giving our planet and our citizens a sustainable 21st century. ICLEI very much looks forward to participating in COP20 and to the progress that it will inspire. We hope you enjoy reading our latest iNews, and we look forward to continuing our collaboration with you all in your sustainability efforts. Local governments attending the Durban Adaptation Charter (DAC) East African Regional workshop in Tanzania signed an internationally targeted resolution that affirms their commitment to climate action and green growth. The document seeks synergies and collaborations on existing frameworks for these, such as the Sustainable Development Goals, ecosystem-based adaptation and disaster risk reduction. Orebro is the first city in Sweden, and the 30th local authority worldwide, to commit to pull its funds from fossil fuels. Following cities such as San Francisco (USA), Boxtel (The Netherlands) and Oxford (United Kingdom), Orebro will align its investments with its environmental targets, becoming fossil-fuel free by 2050. Mayor of Bonn Jürgen Nimptsch welcomed Jan Eliasson, the representative of the UN Secretary-General Ban Ki-moon, to Bonn’s Old Town Hall on Wednesday, 12 November 2014. This meeting marked the end of Eliasson’s short visit to Germany. Gathering around 60 participants, including representatives from the Chinese national government, international experts and local government officials from Tianjin City, Yixing City and Jiansu Province, the International Symposium on Municipal Green Procurement took place in Beijing, China, from 30 to 31 October 2014. The UN Lima Climate Change Conference is expected to prepare the necessary technical and legal framework for a global climate regime in the post-2020 period to be agreed in Paris, France in December 2015. ICLEI will lead the Local Government Climate Roadmap delegations in Lima, with representatives from all around the world, including Belo Horizonte, Bogota, Brussels, Durban, Nantes, Paris, Recife, Seoul, Tokyo and Tshwane. 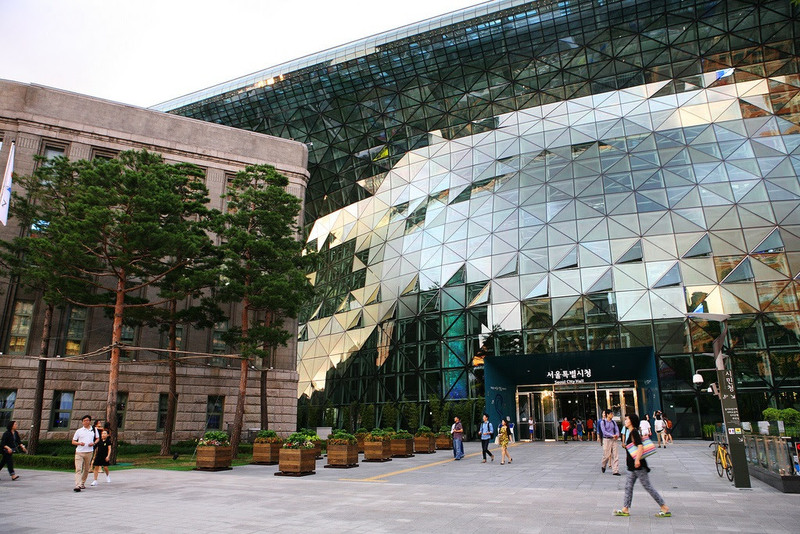 Eight ICLEI members are amongst the world’s 10 greenest cities, according to the 2014 Global Green Economy Index (GGEI). Included in the top rankings are European member cities Copenhagen (Denmark), Stockholm (Sweden), Berlin (Germany), Oslo (Norway) and Helsinki (Finland). GIZ (Deutsche Gesellschaft für Internationale Zusammenarbeit GmbH) and ICLEI are pleased to announce the publication of their joint study, “Operationalizing the Urban NEXUS: Towards resource efficient and integrated cities and metropolitan regions”. The study, which provides city makers with a framework for integrated and sustainable urban development, is available for free download. The UN disaster risk reduction conference in Sendai, Japan in March 2015 is expected to set an important precedent, pursuant to its strong vision to engage and empower local and subnational governments in the new global framework on disaster risk reduction and management. At the 2nd Preparatory Committee meeting in November 2014, ICLEI, in collaboration with UCLG, led the drafting and delivery of the interventions of the Local Authorities Major Group on the proposed negotiation text. Resilient Cities 2015, the 6th Global Forum on Urban Resilience and Adaptation, will take place on 8-10 June 2015 in Bonn, Germany. The call for contributions for the 2015 congress is open and welcomes proposals for presentations, panels, workshops, posters, trainings, and co-events. The submission deadline has been extended to 10 December 2014. Don’t miss the chance to shape the program of this global event! The ICLEI ACCCRN process enables local governments to assess their climate risks in the context of urbanisation, poverty and vulnerability, and to formulate corresponding resilience strategies. It provides a streamlined process that is simple yet rigorous, and that can be implemented by the cities themselves, with only minimal need for external support. Ban Ki-moon’s clarion call for bold, transformative action and solutions clearly resonates with ICLEI’s agenda in New York. ICLEI will feed its rich experience, expertise and vision to the success of the Climate Summit 2014 in New York. We will support a number of groundbreaking cities initiatives on finance, resilience, carbon pricing, buildings, energy and waste, including the Compact of Mayors, the biggest cooperative effort for cities to cut their greenhouse gas emissions and prepare for the impacts of climate change. We will also engage with various stakeholders in high level policy dialogues and networking events. Check out the carbonn Climate Registry, the world’s leading #climateactiondata platform! Operated by ICLEI since 2010, the carbonn Climate Registry is the international reporting platform for local and sub-national climate action. It supports cities and regions in progressing with transparency, moving towards Measureable, Reportable, Verifiable (MRV) climate action – addressing mitigation and adaptation. The carbonn Climate Registry is a publicly available, free-to-use platform. More than 460 cities representing 12% of the worlds urban population are voluntarily reporting over 4000 actions and 870 commitments. It is directly linked to and compliant with the new Global Protocol for Community-Scale Greenhouse Gas Emissions (GPC), a new standard for city-level GHG accounting and reporting. The data available in the carbonn Climate Registry will be critical in informing the global climate community of the progress of credible and transparent local climate action. It will raise the level of trustworthiness of reporting cities and regions –supporting improved access to climate finance. On its new online platform, CityTalk, ICLEI tells some of the challenges and stories of success of pioneering cities, showing how mayors are spearheading a diverse movement of local governments with high ambitions, engaging their citizens to be part of a sustainable revolution. Mayors are the closest level of government to citizens. They are deeply grounded in their reality, and are committed to uphold their citizen’s safety, justice and sustainability. Led by ICLEI President David Cadman and ICLEI Secretary General Gino Van Begin, Mayors of ICLEI Member Cities from the Global South and North will converge in New York: including Bonn (Germany); Seoul (South Korea); Bristol (United Kingdom); Bogota (Colombia); Johannesburg (South Africa); Quezon City (The Philippines); Des Moines (USA); Nantes (France); and Rio de Janeiro (Brazil). These mayors will attend the Summit and support a number of city-action initiatives, showing leadership and the drive for accelerating climate action. Over the past two decades, ICLEI has achieved results the world has noticed. It has fostered a global network of 1,000 cities and towns from 88 countries, representing more than 660 million citizens – many of which have undertaken climate action. View our timeline for a look back on two fruitful decades of steering local climate action. What is the UN Climate Summit? Why is this relevant to ICLEI and local governments? How are local governments and ICLEI involved in the Summit?